From various software solutions to only One. Young Entrepreneurs introduces the world to all of the software solutions under one roof – Merrchant. The idea pops out of nowhere, it does not wait for a perfect moment but the revolutionary ideas comes to those who wants the world to be a better place and that is what happened with Navrajvir Singh, while logging into different websites for different purposes. Thinking how frustrating it is for him he got the idea that it is just as equally frustrating for the others. Since the day there is no looking back. Being a Financial Accounting Expert something seemed unaccountable to him. He soon figured that there has to be this one time-cutting and more efficient way of dealing with all the business solutions in a more co-ordinate manner and not with haste. Thus, an all-encompassing business operating solution has come into a product form – Merrchant. It was a tough begin, turned untidy within the middle, however it’s awing within the finish, says Navrajvir Singh. The product was ready but it is of no use until it reaches to its target audience. In the time where technology is taking over the market how the product that is technology itself should be marketed without a digital platform. And for that Navrajvir didn’t gave a second thought for Ishan who soon joined as the Co-Founder and COO. 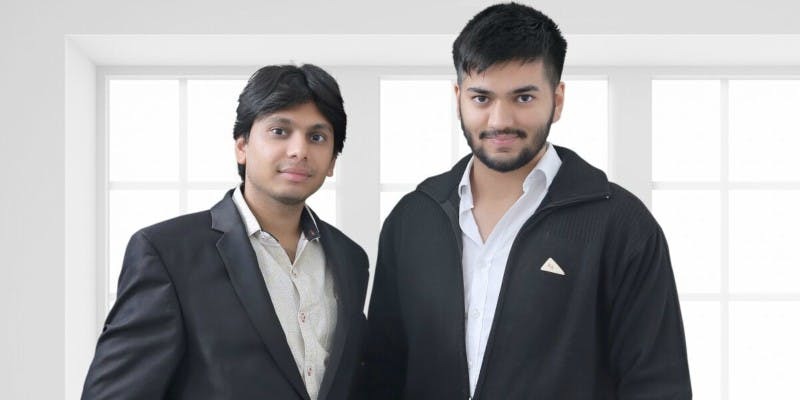 With 9-years of in-hand experience and in depth knowledge in the field of Digital Technology, the entrepreneur duo took the concept and their products to a new heights. Ishan’s has done the work of digital marketing for M.P elections in 2013 and U.P elections in 2016 for Bhartiya Janta Party which was a successful campaign and a proof for Ishan’s skill and talent. It is cloud-based business operating systems that helps you with easy login and sign up, management of multiple enterprise accounts, easy migration, multiple languages email integration, open API, Data encryption and backups, bank statement reconciliation, professional quotations, accounting, user roles management, multiple currencies, file attachments, HRM, PoS, CRM, intelligent inventory, vault, project management, purchase order generation, reports, time tracking, subsidiaries, mobile and tablet extension and much more. The biggest advantage that Merrchant possesses is that for the user it is free. Why because the company makes money through advertising. Not only advertisement but also the company has its own YouTube channel and blog. The money has never been the key importance of the company like the user satisfaction is. For every impression the Adsense pays company Rs 0.26. Merrchant is in competition with larger SaaS players like Xero, Zoho and even FreshWorks in some ways. Merrchant differes from these products because all financial data is stored on the cloud in a single unified ledger, which makes it user friendly and allows them to work in the same set of books, regardless of the operating system or their location. How did the dynamic duo form? How do you both meet? Ishan’s Digital Agency ( Ishan’s Constant and Premishan Tech) was conducting Search Engine Optimization for my E-commerce website ‘19 Again’ and later for the two of my resorts followed by the SEO for ‘Raletta Foods.’ I was so impressed by his work and dedication towards everything he does that I could not think of a better name than Ishan to be my partner in this journey. Honestly trusting someone else with the product was really difficult but I trust Ishan with this and I made a right decision. Where do you see yourself and your company in the near future? Merrchant is active successfully at www.merchant.com. We have gained 260 paid users since its establishment and we do aim for 1000 active users on a daily basis by the end of 2019. This is apparently the only near future we are focused on. What sets you apart from the current of companies in the ocean of Software hub? What makes you different? I think the biggest advantage is that Merrchant is free for users, as the company makes money through advertising, youtube and its blog. It competes with impressive SaaS players like Xero, Zoho and Freshworks (in some ways). Merrchant offers user to store all the data on the cloud in a single ledger, which helps them to work in the same set of books no matter what operating system they are using or where they live (their location).